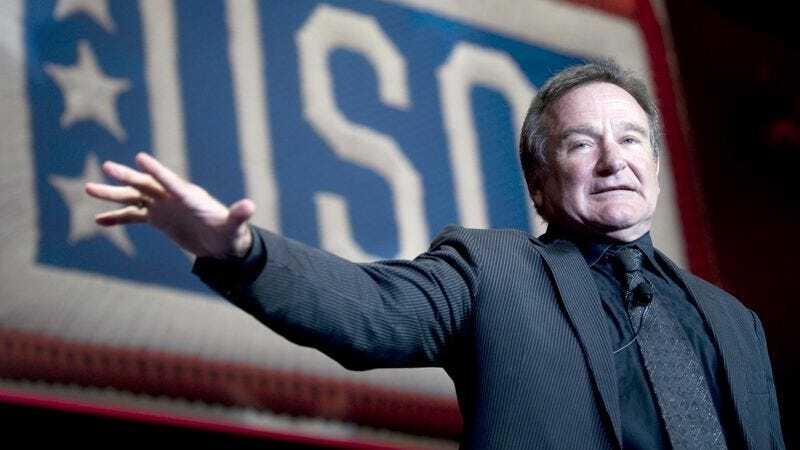 Robin Williams’ death one year ago today took nearly everyone by surprise. And since then, the world has been deprived of a comedy visionary who brought us the voice of Genie, Mrs. Doubtfire, Patch Adams, and more. Twitter users the world over are feeling pangs once again today through 140 characters. There’s one problem, though—these tweets are tagging the wrong Williams. This one is a currently living British singer, not the beloved late actor. This same confusion over the correct Twitter tag happened last year after everyone first learned of the death. Robbie Williams the singer, recently in the news for sexual harassment lawsuits, is the victim of this typo so frequently that he’s even got a disclaimer on his Wikipedia page. For future reference, tag any tweets about Robin Williams with @robinwilliams, NOT #RobbieWilliams.